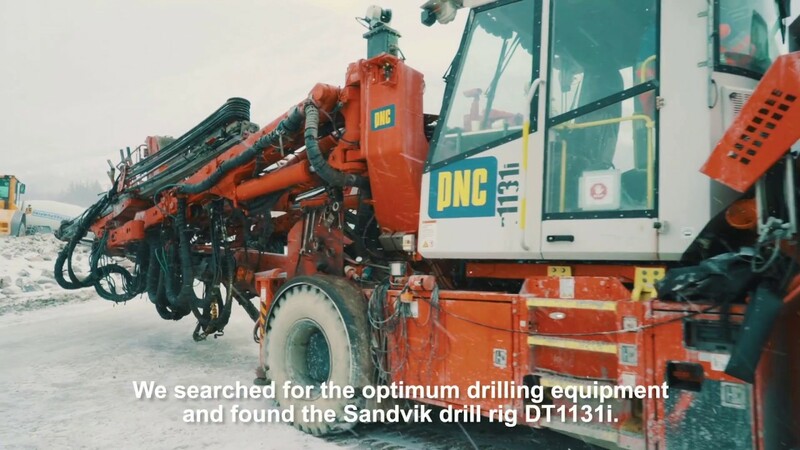 Sandvik DT1131i is designed face drilling, bolt hole drilling, and mechanized long-hole drilling. It's productive, reliable and highly efficient. Sandvik DTi jumbos are fast, accurate and user-friendly. Together with the iSURE tunnel management program, intelligent iDATA control system, newly launched high frequency Sandvik RD525 drills, robust booms and advanced drill string guides, they offer an excavation result of the highest quality with a low operating cost. To further improve the excavation process, remote access via WLAN can be chosen. This allows web-based data transfer as well as online MWD. The DTi design also offers ease of service which reduces maintenance downtime. The components are damage-protected, and all daily service points are accessible from the ground level.